The organizing committee is proud to announce our second keynote speaker. 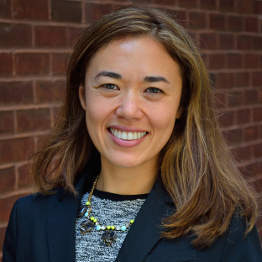 Emiko Atherton is the Director of the National Complete Streets Coalition at Smart Growth America. She uses her expertise in transportation policy, public health, land use, economic development, and legislation to consult with communities nationwide on how to create better transportation networks. Emiko is an international voice on Complete Streets and speaks to audiences across the country about the value of this approach. Previously, Emiko served as Chief of Staff for a King County Council member in Washington State. Read more about her on her speaker page.